Collaborating to improve the environment for business success is the core strength of Chambers of Commerce in general, and the Oakland Chamber Network doubles up on that principle by bringing 27 local Chambers together. 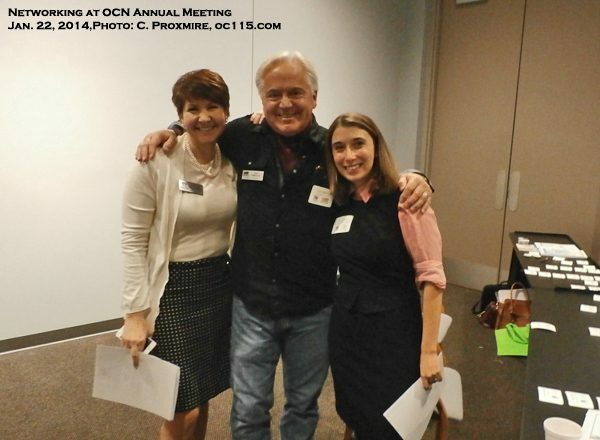 At their annual meeting on Jan. 22, OCN Board Members heard from John Carlson, Director of Professional Development at American Chamber of Commerce Executives, based in Virgina. Carlson presented the group with survey results charting Chamber Trends. “It’s easy for us to be too focused on our own communities,” Carlson said, emphasizing the need to learn from what groups around the country are doing. One challenge Chambers face is that other development-based groups continue to grow, such as DDAs (Downtown Development Authorities), networking groups, and other government-based economic development programs. Some Chambers see these as competition, while others see them as opportunities to partner and strengthen the work they do. Carlson asked Chamber leaders to look at the national trends and compare them to where their specific organization was. 294 Chambers of all sizes participated in the survey, and the results were broken down into categories. 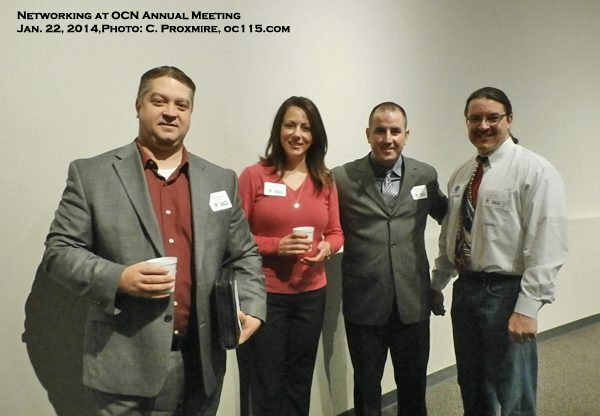 Most Chambers in the OCN fall in the small chamber category, working with under $450,000 a year. The survey found that small Chambers have the highest retention rates, keeping about 87% of their members from year to year. The dues average $293 per member, and the revenue averages $633 per member. While that number may seem high, the reality is that most small chambers also spend $640 per member. Revenue comes from multiple sources, including membership dues, events and sponsorship opportunities. Product sales account for 2% of revenue, but may be an area where growth is possible. One innovative idea came out of Norfolk, Nebraska. There the Norfolk Area Chamber of Commerce created an online and print magazine called Norfolk Now. Advertising sales bring extra revenue into the Chamber, and the publication helps to promote local businesses. Another interesting idea came from Glenwood Springs, Colorado. While Chambers are traditionally membership-only, The Glenwood Springs Chamber of Commerce decided that every business would be given a free basic membership. This allowed the Chamber to be more effective at engaging the business community, and they were able to create tiers of membership, with increasing benefits at each level. By changing their model they were able to increase their revenue by $38,000 the first year alone. Their social media presence also increased, with over 500,000 likes on Facebook. The group also has a stronger voice in collaborations with the city. “They weren’t afraid to try something new,” Carlson said. “They knew they could always go back to the old way if they needed to.” But with the increased involvement and success, it’s likely that the Glenwood Springs model will stay, and be followed by other Chambers through the country. They were even awarded the 2013 Chamber of the Year award by the American Chamber of Commerce Executives. While increasing membership and revenue is important, Carlson also spoke about the importance of using Chambers to help the overall growth of communities. In 2008 the Paducah Area Chamber of Commerce in Kentucky was hit by the same economic hardships as everyone in the area. “They lost a lot of jobs,” Carlson said. “So they thought ‘How can we create a better voice, and bring our Chambers together to get more jobs?” That Chamber reached out to others in the area and formed the Western Kentucky Regional Chamber Alliance. The Alliance set three priorities to help revitalize their area. The first was the development of I-69 to bring transportation through the heart of Kentucky. The second was the Inland Waterways Project, which improved the inland marine transportation system, including expanding the locks and improving river ports. The third was to lobby for lifting the moratorium on nuclear projects in their state, an issue which is still being debated. Like the Western Kentucky Regional Chamber Alliance, Chambers in Oakland County have recognized the need to work together. 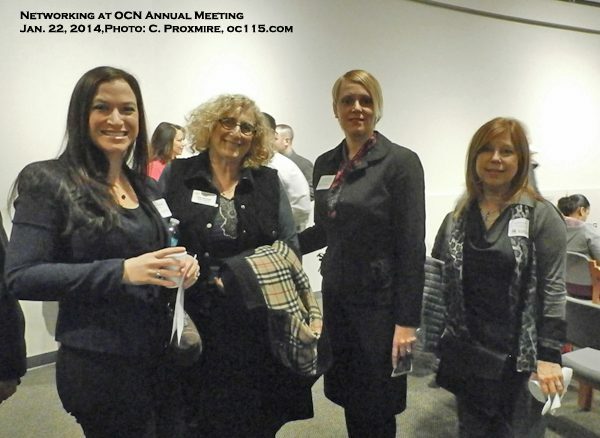 Through the OCN Chamber Executive Directors, CEOs and Presidents get together bimonthly to share best practices, participate in educational programs, network with peers and build relationships. 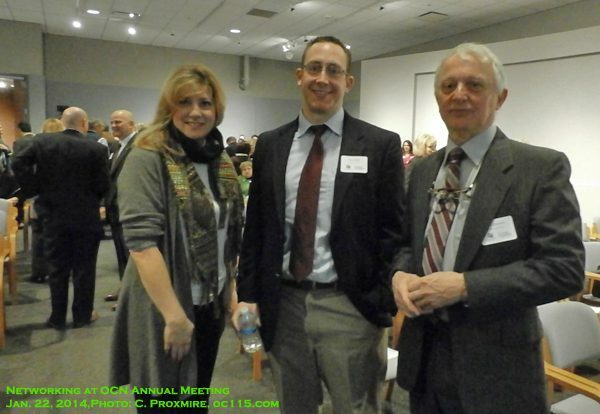 Often there are joint-Chamber events as well, to help members connect beyond their immediate area. 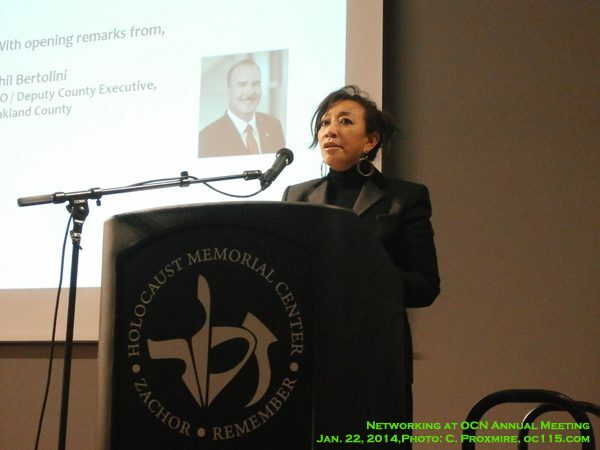 At the Jan. 22 Annual Meeting, OCN members also heard from Oakland County Deputy County Executive Phil Bertolini (see http://oaklandcounty115.com/2014/01/24/deputy-county-executive-defends-patterson-touts-oakland-county-achievements-video/), and Bob Thomas, Executive Director of Michigan Association of Chamber Professionals (story coming soon). 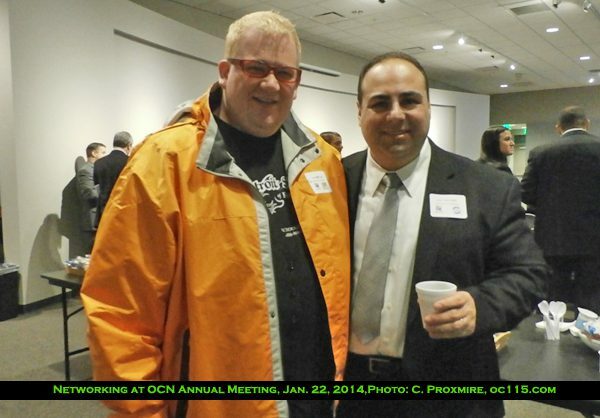 To learn more about OCN visit http://www.theoaklandchambernetwork.com. 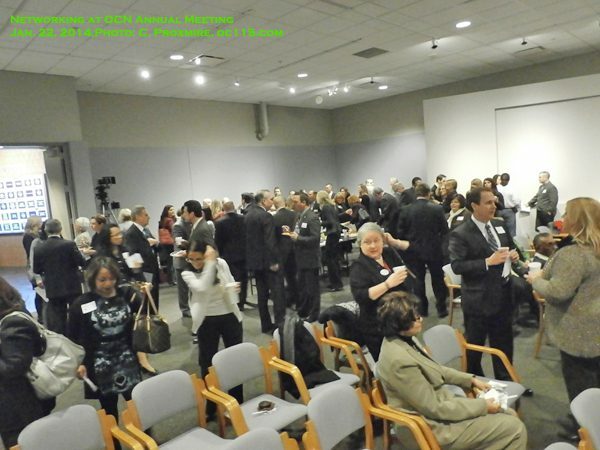 To learn more on American Chamber of Commerce Executives, visit http://www.acce.org/.